Narc is a cop’s journey into hell. It looks mainly at the interaction he (Jason Patric) has with another cop (Ray Liotta) who may be responsible for killing a fellow narc. That tension, that dialogue — sharp, colorful, and grounded in the stark world in which they breathe — is the meat of the movie. These are hardened professionals, guys worn from years of exposure to sick habits and sick lives. Liotta and Patric are perfectly cast (with Toronto as a mean Detroit), and they do the best work of their careers. Director Joe Carnahan starts a career: He is a real writer, infusing plot with character and story with shape. And the opening foot chase is one of the great chase scenes, banging through some exposition and setting the tone for the rest of the film. So Narc is David Mamet meets The French Connection. At times the sparring and the shop talk is a bit stagy and the lead-up to the final reveal a little too neat; the pithiness impedes the realism the film is after. 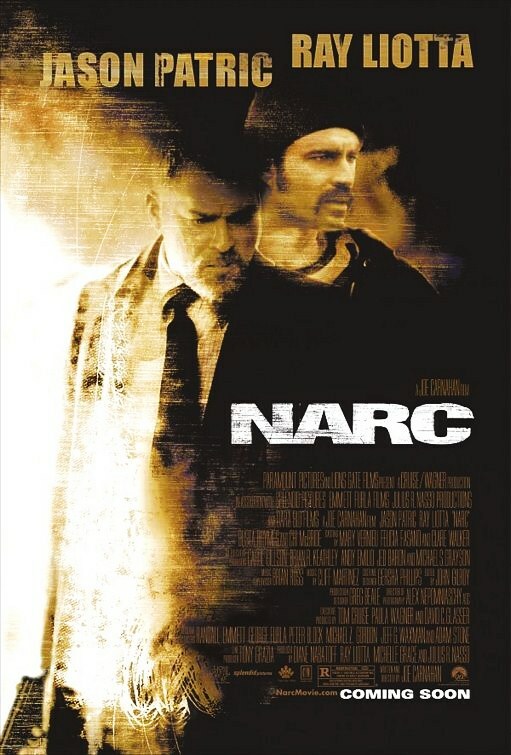 But Narc is a genre piece Hollywood seems less capable of making. I hope Carnahan builds on it.